Sherman had arrived and the Confederates had responded. With the replacement of Gen. Joseph E. Johnston in mid-July, Confederate president Jefferson Davis had found a fighting general, in John Bell Hood. Sadly for the Confederates, aggressive battle plans were poorly executed–a fairly routine happenstance for this army, and Hood failed to improve the Confederacy’s prospects at a time when success would have had large repercussions. As it was, the tightening noose around the necks of the Confederacy’s primary armies offered chances for game-changing outcomes with each passing day. 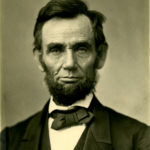 Sherman would win the contest, and the prize was the reelection of Abraham Lincoln and the guaranteed success of Union efforts to end the rebellion. This program is a worthy finale to the four-year series. Gary Ecelbarger has done a great job with the series, providing a steady anchor for his guest historians, and the cogency of the series reflects it. This year he returns with his colleague, Scott Patchan, to close out the campaign west and south of Atlanta. These are the battles that are discussed and featured near the mythical Tara in the movie, Gone with the Wind. Because Atlanta is so important to the war, we are commencing the series again in March, starting with a multiday tour through historian Bob Jenkins’ critical eye with the fighting around Rocky Face Ridge, and a single day tour of Kennesaw Mountain, led by historian Keith Bohannon. Both would be rewarding supplements to this singular standalone program. Don’t worry, Ecelbarger will be back in Atlanta in 2020. 6:00 PM. Check in at headquarters hotel for meet and greet and to pick up your reading books. Our program begins this evening with an overview of the Northern Georgia Campaign and the fighting for Atlanta that had been detailed in parts 1, 2, & 3 of our annual series. This will serve as a refresher for those who have been with us on this campaign the past three years, and will be particularly helpful to those who missed one of the three previous tours or are joining the series “midstream” for their first experience in the Campaign for Atlanta. In addition to the recap, our facilitators will bridge the gap where we left off in 2017 from the conclusion of the Battles of Ezra Church, Atlanta, and Peachtree Creek. Dinner is on your own. 8:15 AM. We start today by examining the fiasco of the Stoneman-McCook cavalry raid that launched about the same time as the battle of Ezra Church (28th) on July 27th. Sherman had ordered Stoneman and McCook to ride to the south of Atlanta to cut the last railroad supplying the city. Stoneman, operating to the east of town, was given the further incentive of freeing Union prisoners held at Macon and Andersonville. However, the orders explicitly required him to initially cooperate with McCook to cut the railroad. 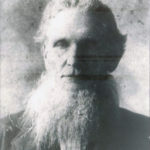 Stoneman went rogue, and in doing so allowed the Confederate cavalry under Maj. Gen. Joe Wheeler to defeat his expedition in detail with Stoneman and a soon-to-be-famous aide, Mile Keogh, being captured at the battle of Sunshine Church. Keogh would be killed with George Custer at the battle of the Little Big Horn not quite 12 years distant. McCook achieved some initial success in destroying the railroads supporting Confederates in Atlanta, but the failure of Stoneman to execute his orders to cooperate with McCook caused him to pull back, and he was severely repulsed in the battle of Browns Mill. Our travels today will take us to the engagements at Sunshine Church, Lovejoy Station, and Brown’s Mill. The failure of the raid forced Sherman to resort to a successful month-long siege of Atlanta. Lunch is included, but dinner is on your own. 8:45 AM. Because of Atlanta traffic, we will start Friday morning at 8:45 AM. Frustrated by Stoneman and McCook’s failure, Sherman nonetheless attempted to do with infantry what his cavalry had failed to accomplish. Moving west of Atlanta, he planned to attack the railroad between East Point and Atlanta during the first week of August. 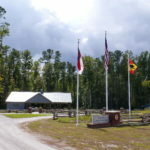 Led by Gen. John Schofield’s XXIII Corps, supplemented by the XIV Corps, they ran into a difficult defense anchored by Gen. Patton Anderson of Stephen D. Lee’s Corps at Utoy Creek. Early success on August 5 was offset by a decisive repulse on the 6th. During the next two weeks, the forces under Schofield remained in the area and fought several inconsequential engagements before Sherman called off the expedition in the third week of August. While there is not a great deal of the battlefield to see, the story is compelling and we will show you what there is and tell the story. We also will use the day to show you some of the long-forgotten and surviving defenses of Atlanta. While urban sprawl has destroyed most of the historical integrity, those of you who have been with us on the third installment know there is much to be seen in Atlanta. Lunch is provided, and dinner is on your own. 8:15 AM. Today we are off to close the Atlanta Campaign. As you know from Gone with the Wind, the fighting around Jonesboro and a cavalry raid by Judson Kilpatrick to Lovejoy’s Station cut the final railroad serving Atlanta and threatened to block the final escape route from the beleaguered city. Faced with the possibility of being starved out or fighting another day, Hood opted to cut his way out and leave Atlanta to the enemy. We will follow Kilpatrick’s late August railroad raid and be reminded of Stoneman’s no-show at Lovejoy’s Station. And we will find that Kilpatrick does just fine until the Confederate infantry under Gen. Patrick Cleburne shows up and threatens to envelop Kilpatrick’s troopers. They engage in a running fight back to the Nash Farm, creating a favorable climate for Sherman to execute the final maneuvers to completely surround Atlanta. Sherman was maneuvering to do just that when, on August 31, Confederate forces attacked the Federals along the railroad at Jonesborough. 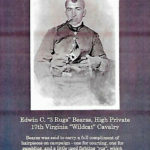 The disjointed Confederate attack by two corps under the command of Gen. William Hardee produced significant Confederate casualties without any tangible military benefit. Hood responded by prematurely pulling Stephen Lee’s Corps back into Atlanta, thus exposing Hardee to a follow-on attack by the Federals on September 1. The Confederates fought bravely, but they eventually were pushed back. That evening, Hood evacuated Atlanta. Lunch is included as well as a farewell dinner. 9:00 AM. Our final day wraps the Atlanta Campaign with the civilian surrender of Atlanta and the Federal occupation. Much controversy surrounds the Federal tenure, and correspondence between Generals Sherman and Hood was feisty and principaled–a great debate point for the cohort before we finish. The program then finishes with a lengthy visit to the remarkable Atlanta History Center, where several hours are needed to do it justice. While there, we will see the newly relocated and reopened Atlanta Cyclorama depicting the Battle of Atlanta–it is a remarkable painting that has been fully restored. You can have lunch on your own at the center, and we will return to the hotel by 2 PM. 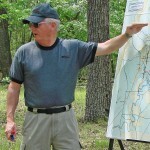 Gary Ecelbarger has developed a reputation for enthusiastic presentation and excellent history. Although he refers to himself as an “amateur historian,” Gary’s books are well researched, well written, and extremely well received. Constantly pushing the envelope by asking new questions and finding new answers, he has tackled a wide variety of America’s wars and is highly sought in the touring community. Gary’s fascination with the Atlanta Campaign and key figures such as John Logan has produced a cornucopia of new and exciting scholarship. He is well ensconced in this campaign, with another two works planned as his next book publications. I could not bring you a better scholar or educator. Scott Patchan is at the top of a very short list of historians of any type who understand and can present northern Virginia and the Shenandoah Valley. He has begun to develop the same reputation on the Atlanta campaign. He and Gary have worked together for a number of years now, and they present a very cogent story that is firmly based on extensive research and a “boots on the ground” prep style. Neither Scott nor Gary are so-called “academic” historians, but you ignore them at the risk of missing a very well-done program. This program will be based near the Atlanta Hartsfield International Airport. The hotel will be posted on this site. The headquarters hotel room block will likely be in the $125 a night range plus tax. We will seek a hotel with shuttle services to and from the airport. We will notify you of the hotel selected and the date open for reservations. The servicing airport is Atlanta [ATL]. If you drive to the program, it’s recommended that you time your arrival between noon and 3 PM, as the commuter traffic crawls between 3 and 7 PM. Our Sunday afternoon finish should allow you a crisis-free getaway. You will be provided with a reading book and maps upon arrival. We recommend the following books to enhance your preparation for this tour. Amazon.com has a program to support non-profits IF YOU SIGN UP to support Blue and Gray Education Society (EIN 54-1720582) at AmazonSmile. When you sign up there rather than the normal Amazon site, one-half of one percent of your purchase price will be provided to BGES as a donation from Amazon. This will apply not only on this purchase but others you may make at other times.